Consumer sentiment edged higher in May as consumers made plans to spend more despite continuing uncertainty about the global economic outlook and prospects for household finances. The economy here has posted the fastest growth in Europe since 2014 and unemployment has fallen rapidly, but the recovery has been uneven for some consumers with only modest gains in purchasing power. 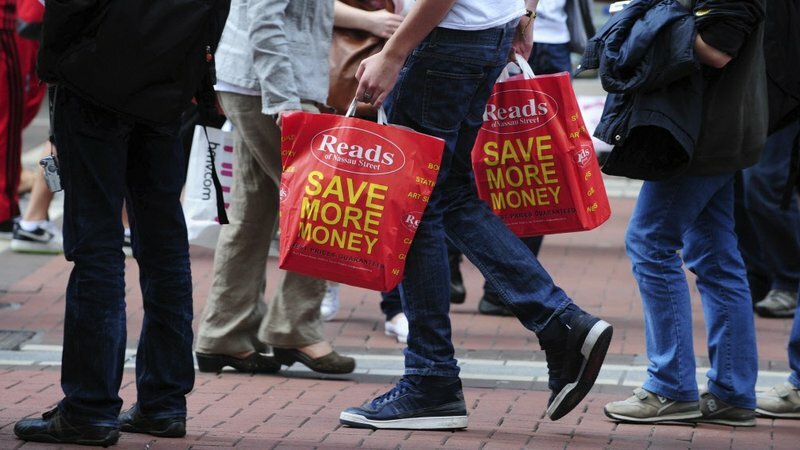 The latest KBC Bank Ireland/ESRI Consumer Sentiment Index rose to 106.7 in May from 104 in April, continuing a see-saw pattern of monthly changes since the index hit a 17-year high in January. The improvement erases around two-thirds of a drop seen between March and April, which the survey's authors attributed to layoff announcements by some high profile Irish companies in an otherwise strong employment market. Consumer plans for large household purchases were the strongest element in the survey, reflecting a tendency to spend heavily ahead of holidays or around periods of heavy price discounting, the authors said. But there was significant divergence within the survey, with falls in consumer expectations for the Irish economy and household finances over the next 12 months. KBC Bank Ireland's chief economist Austin Hughes said the survey showed that Irish consumer confidence remained strongly tempered by caution. "Expectations for the Irish economy and household finances both dipped slightly last month as risks to the global outlook continue to emerge and many consumers continue to face financial strains," he said.